Convert GIF, video, and Live Photos. Is there a better alternative to GIF Live? 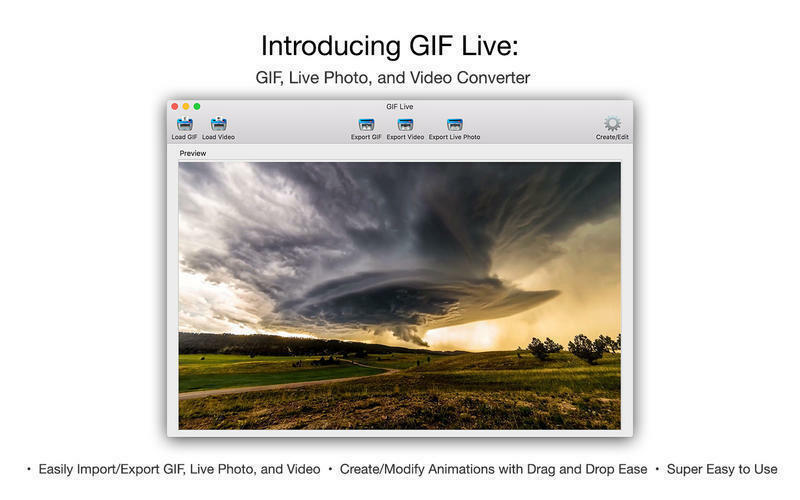 Is GIF Live really the best app in Image Editing category? Will GIF Live work good on macOS 10.13.4? GIF Live needs a review. Be the first to review this app and get the discussion started! GIF Live needs a rating. Be the first to rate this app and get the discussion started! GIF Live is the new de facto standard for converting GIFs, videos, (and for the first time) Live Photos to one format or the other! 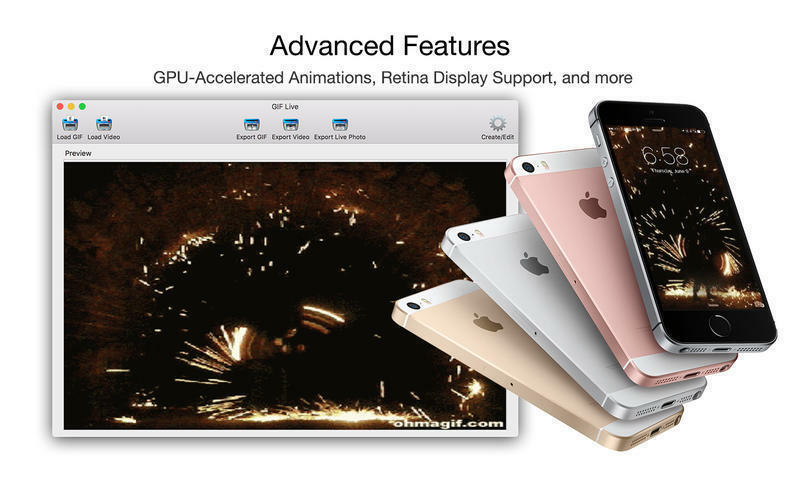 Simply load a GIF or video file; hit Export as GIF, Video, or Live Photo*, and you're good-to-go. 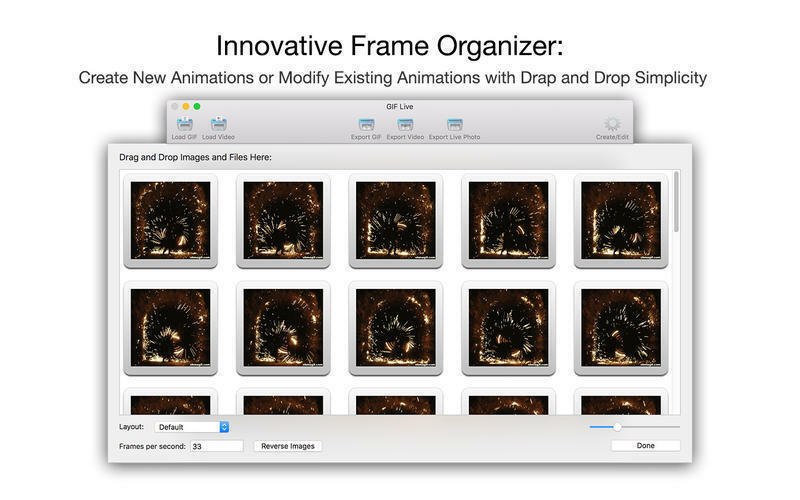 In addition to converting a wide array of animation and video formats, GIF Live also features an innovative graphical Frame Organizer, which lets you easily create new animations and modify existing animations with drag-and-drop ease - simply drag-and-drop images from your preferred Web browser or from Finder into the Frame Organizer to create a new animation! You can even rearrange frames, copy frames, and delete frames with unparalleled simplicity. Set the frames-per-second, and customize the layout to get exactly the kind of result that you want. With all these features, GIF Live is the perfect "Swiss Army knife" for anyone who loves GIFs, videos, Live Photos, or any combination thereof! 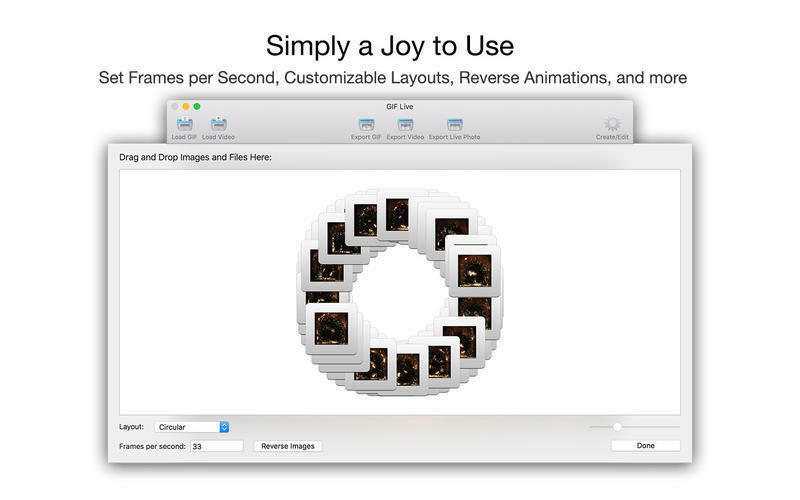 * Live Photo interoperability with built-in Photos.app requires OS X 10.11.4 or later. 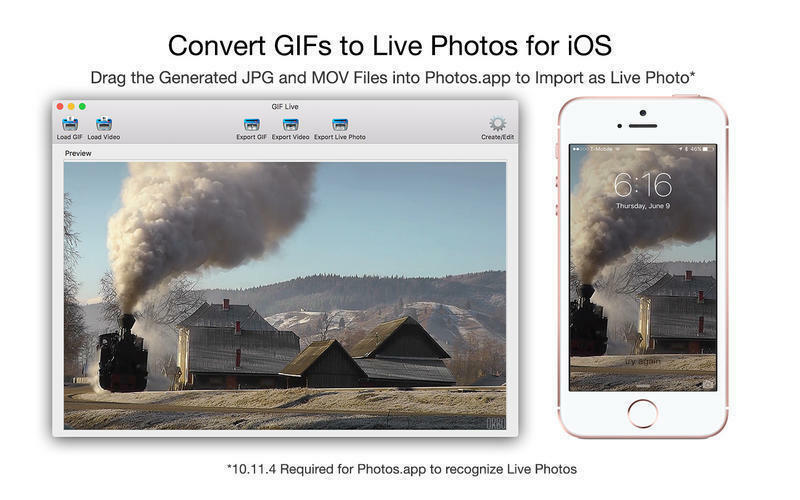 Live Photos are created using two files, a JPG and a MOV file; these files have metadata that is connected and must be dragged-and-dropped into Photos.app at the same time to create a Live Photo.